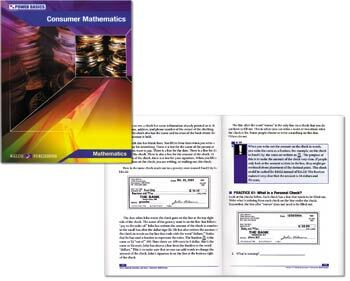 Guide learners toward mastery of consumer math concepts. With increased emphasis on the No Child Left Behind Act and the pressure to meet these standards, Power Basics offers students traditional textbook content in an accessible format. The text is organized into manageable instructional units that build proficiency and mastery in core curriculum areas. Designed to provide students with on-level content at a controlled reading level, the program includes Student Texts, Workbooks, Test Packs, and Teacher Guides or Answer Keys for all components. The text enables student mastery of core content that meets the standards and supports differentiation and all levels of learning. The on-level content with a lower reading level make learning accessible to all students. The compact (6½" x 8½"), lightweight, softcover textbooks provide a unique and student-friendly design. The program features extensive practice and review and frequent opportunities for assessment. 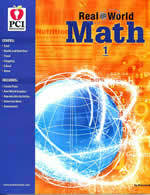 The test pack includes reproducible tests for each chapter of the student textbook. Power Basics guides learners toward mastery of essential math concepts from basic operations through fractions, decimals, and percents and the fundamentals of algebra, and geometry. Through practice, review, word problems and real-world activities, this program is designed to assure that students of all abilities master essential math concepts. 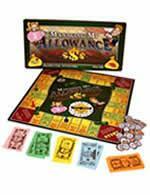 The content of this series adheres to the NCTM standards. 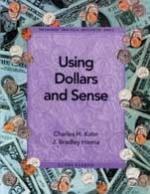 Table of Contents: Coins, Making Change in Coins, Making Change in Dollars and Coins, Using Larger Amounts of Money, How to Comparison Shop, Discounts, Unit Pricing, Budgeting, Loan Concepts, Interest Rates, Comparison Shopping for Loans, Establishing Credit, Checking Accounts, Savings Accounts, Income Taxes, and Insurance. Test packs include reproducible tests for each chapter of the student textbook. Classroom Set Includes 10 student textbooks, 1 teacher' s guide, 10 student workbooks with answer key and 1 test pack.